For a residential or commercial surface that is going to last long term, the most important factor is the strength of the base underneath the asphalt surface. 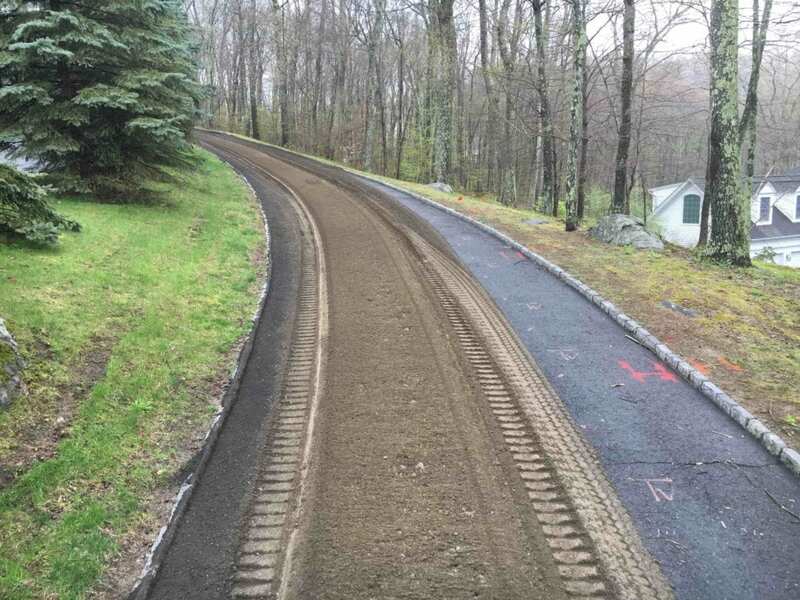 When a driveway or parking lot has reached its maximum life and is beyond the point of fixing with an asphalt overlay, asphalt reclaiming is the most efficient and cost effective alternative for the residents and businesses of Danbury. You may want to know When to replace in more detail different types of damages call for different methods of repair, why the damage occurs can help weigh different services to get that makes sence. Full Depth Reclamation is the process by which asphalt is pulverized and reintroduced in to the existing base. Mixing in the pulverized asphalt with the sub-base strengthens and stabilizes the base. By using this green method, pavement does not need to be hauled away, new base material does not need to be trucked in, and landfill space is saved. In addition, the need for mining, crushing, and processing of virgin materials is reduced. 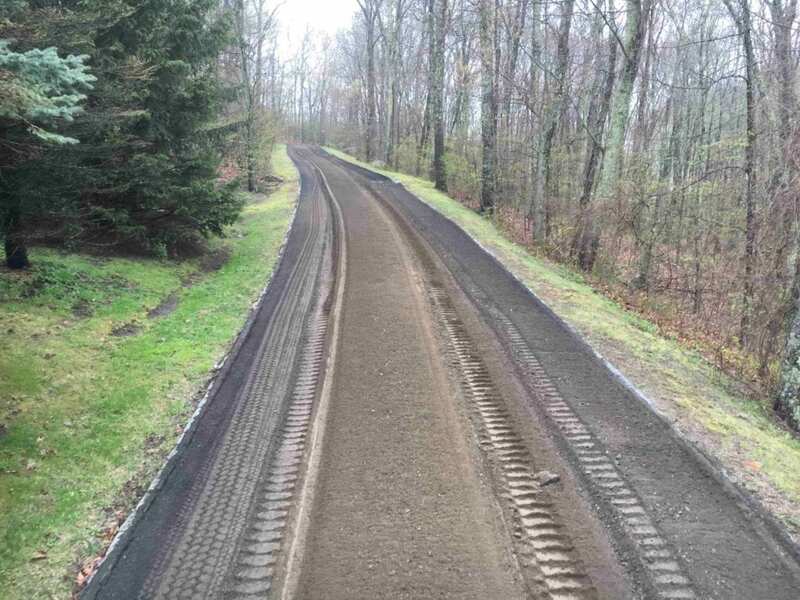 Once the pulverized asphalt and existing processed aggregate base material are mixed together, the area is graded and compacted with a vibratory roller and is ready to receive the asphalt surface. Oil Prices Rising? Then So Is Asphalt! Recycled asphalt parking lots and driveways cost less. Because this process uses much less material, these types of parking lots and driveways are much more economical to install. Reclaimed asphalt pavement is ready to use fast. This paving process is faster than using all new asphalt, and the materials only need to set for around 24 hours before you can drive on the surface. Recycled paving is just as strong and durable as the original pavement, bringing you equivalent performance. Pulverizing – Here, some of the underlying materials as well as the entire pavement is triturated and combined with the rock base. The process grinds the existing asphalt in position and combines it with the underlying material to establish a quality base material. Treat – The second step involves distributing an additive on the pulverized materials. Pulverization is done ones more so as to integrate the additive uniformly. Also, a separate truck can be used to add water to the crushed surface to help in attaining the required density. Re-Grade – The remodeled base must be compacted and re-graded in preparation for the new asphalt surface. A grader profiles and shapes the reclaimed materials. Pave – In this step, a traditional road surface is put on the improved and recycled base. 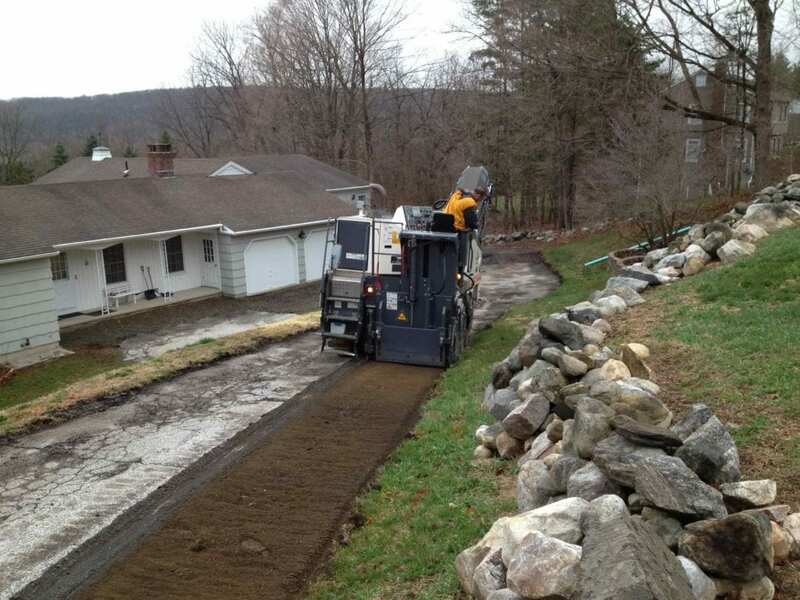 Greenway Industries uses state of the art reclaiming equipment to ensure the best possible product is created for parking lots or driveway bases throughout the Greater Danbury area. Our operators are highly trained and experienced in this method which ensures a seamless transition from preparing the base to installing the final pavement surface. If you’re looking to improve the quality of the environment and save money along the way, check out the green paving services we offer at Greenway Industries! Asphalt Reclamation conserves material by reusing pavement components resulting in the elimination of future maintenance costs.To hear more about your options, call us today at 203-885-1037.